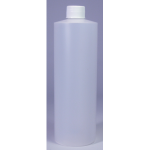 16 oz Plastic Cylinder, Clear 28-410 – Auberst, Inc.
White EZ Open (Disc) Cap. Cap may be ribbed or smooth depending on availability. Black EZ Open (Disc) Cap. Cap may be ribbed or smooth depending on availability. White All Plastic Trigger Sprayer 10 3/8″ Dip Tube. White Square Nose Trigger Sprayer 9 7/8″ Dip Tube. Natural Yorker Cap/No Hole with a Red Tip attached.